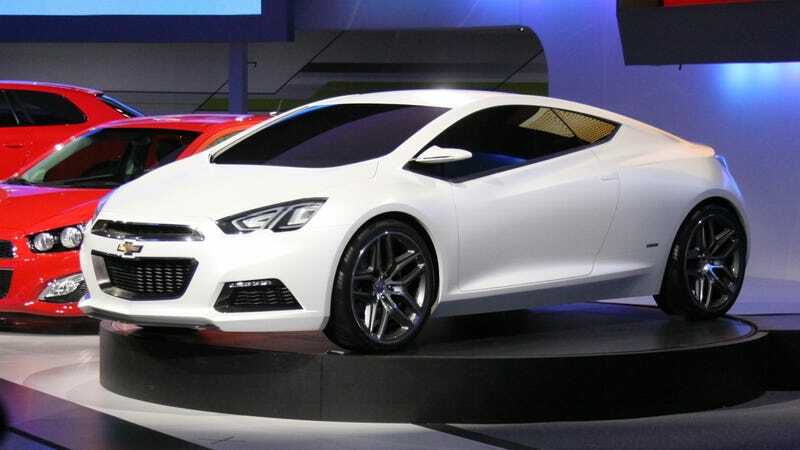 Yes, it's ugly, but it's also the future according Chevy. It's the Tru 140S concept — a four-seat coupe that — like its Code red-colored brother — just makes me weep for that future. And here are a bunch of live photos of what we all have to expect from "luxury" cars from Chevy. Enjoy?